Received from US Army, Fort Bragg Colonel Dedication Award and Challenge Coin. It was getting very close to gun season in November and my Dad was fretting more and more by the minute that his last baby out of five was going to interfere with yet another deer season back home in West Virginia. Yep, sure enough, on November 27th I was born. It didn’t take too many years for my Dad to talk me into running through the hills of West Virginia to run the deer his way during a hunt with my Uncle Kenny. I would do just about anything to hang out with my Dad, Leon Bibey, and to be out in the outdoors. It also did not seem all that long before I joined the Army and quickly became a sharpshooter with an M16. I spent the next four years concentrating on computer science and a business education degree. When I met Curtis in college and when he asked me out on our first date, which happened to be the first day of squirrel season, needless to say he was quite impressed that I scored the first squirrel and had plenty of time waiting on him to finish the novel I was reading. All too quickly the years have grown into the amazing days we now wake to each day. 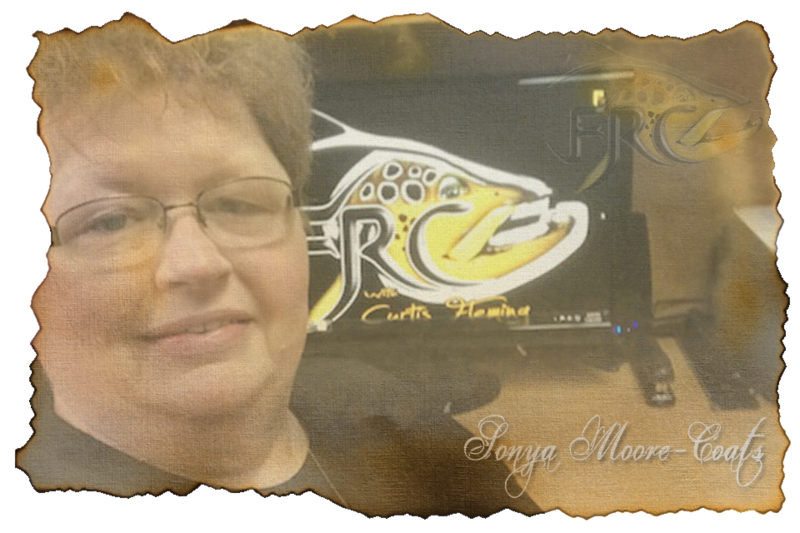 I have since finished my time with the military, finished my master’s degree, promoted quickly in the ranks of education administration, and took an early retirement from a principalship in the great state of West Virginia to join Curtis and his crew on Fly Rod Chronicles. My greatest accolades over the years center around my three greatest blessings: Curtis, Laken, and Autumn. Along the way, I helped move a school system from low performance test scores into an exemplary school recognized across the great State of West Virginia and many years of distinguished performance ever since. Motivating others to do their best and rise above any roadblocks that may be in the way is my passion. Sharing this energy with the FRC team is going to be too much fun! I am a pre-med student at West Virginia University, studying exercise physiology while working part-time for Coach Bob Huggins and the men’s basketball team. My summers and breaks are spent traveling, filming and co-hosting “The Fly Rod Chronicles.” When I’m not hitting the books, you can find me getting my outdoor fix – whether that be in a stream, by the ocean or in the woods. There is nothing like the thrill of pulling a King Salmon out of the metallic waters of Alaska, a shark out of the warm waters of Florida, or a native Brook Trout out of the rippling streams in West Virginia. As I merge into my freshman year at West Virginia University, I never lose the urge to join my family on their crazy awesome adventures across the world. I am beyond blessed and am truly at peace when I am on the water with my friends and family. 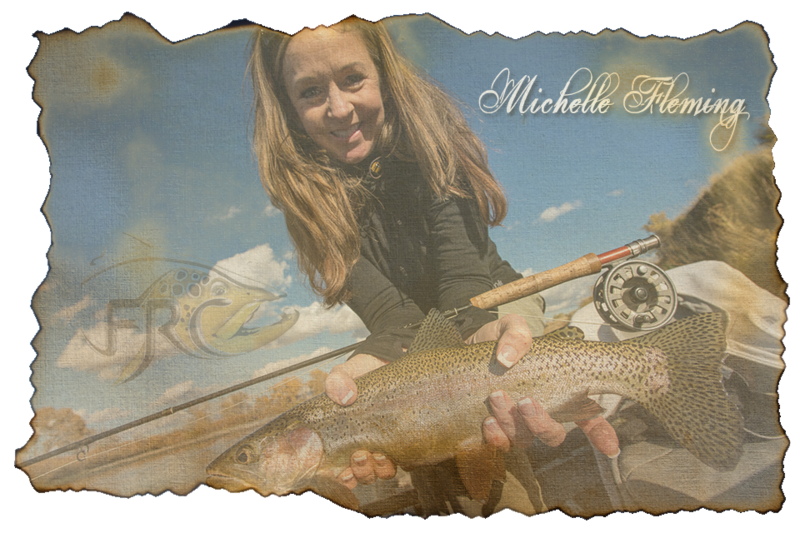 At the age of ten I saw the movie a River Runs Through it and was captivated by fly fishing. I knew I had to learn to do that and I will never forget getting a fly rod at the local WalMart that same year and heading out to our farm pond in search of bluegills. I started out catching panfish and bass but this quickly led to me fishing for trout. Today I have fished all over the East coast and caught numerous species using variety of flies and techniques. My favorites have always been trout and salmon with a real fetish for brown trout. 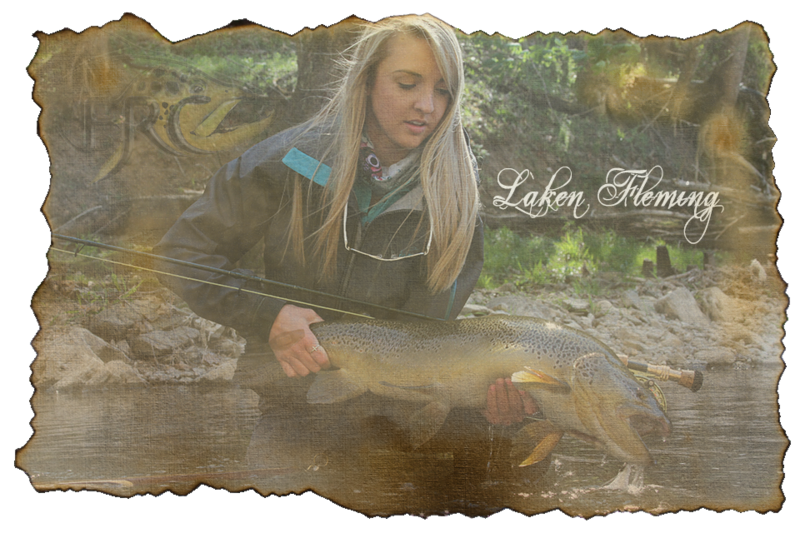 At the age of seventeen I got my first job guiding fly fishing trips and that led to my later employment as the manager and guide at a fly fishing resort. I have fished the famed Elk River in WV most of my life and this has led me to become addicted to fishing micro hatches and tiny flies. I often times fish flies downs to size 32 with tippets as small as 10X. I have been blessed to have a lot of favorite fly fishing moments but the best of the best are my 33 inch brown trout from New York and landing a 36 inch king salmon on 10X tippet. My fishing addiction has also affected my career as a taxidermist. My studio specializes in replica fish mounts and I have worked hard to become one of the best in my field. Overall, it’s hard for me to remember a time when fishing was not a huge part of my life and the doors the sport has opened for me leaves me feeling more than lucky. 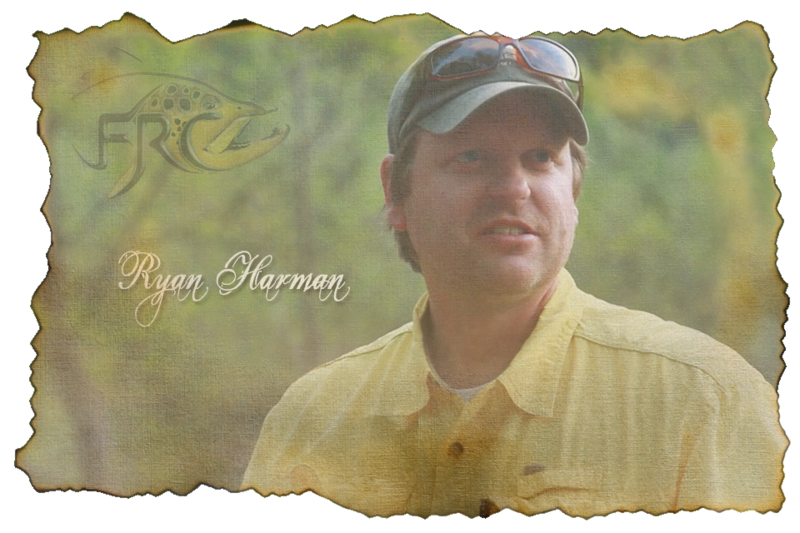 I’m one of the luckiest guys in the world who is living his dream of producing a hit outdoor television show. 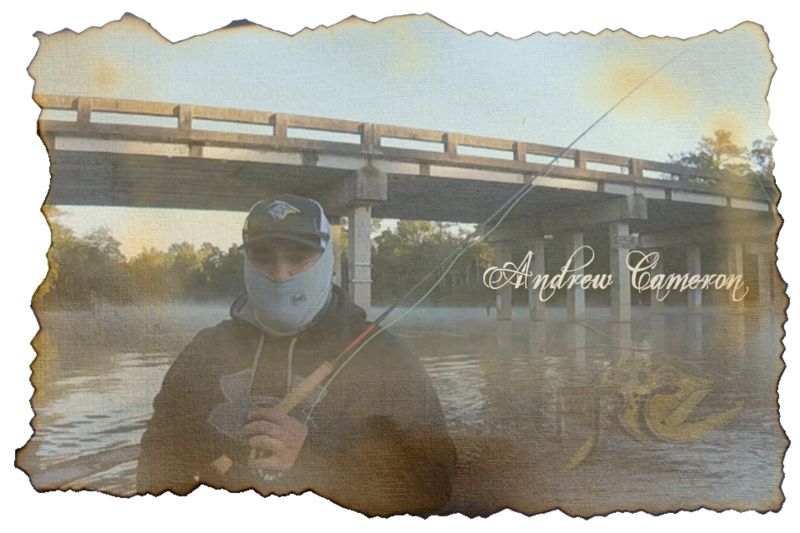 I have a serious passion for hunting, fishing and videography. I grew up and live in the beautiful state of West Virginia, and love the places and people that are tucked away in The Mountain State. I studied Broadcast Journalism at West Virginia University and bleed Blue and Gold. I’ve worked at The Mountaineer Sports Network, ESPN and now Fly Rod Chronicles with Curtis Fleming. Nothing beats a great day streamside with Curtis and The Crew, and getting to meet all the interesting people along the way. 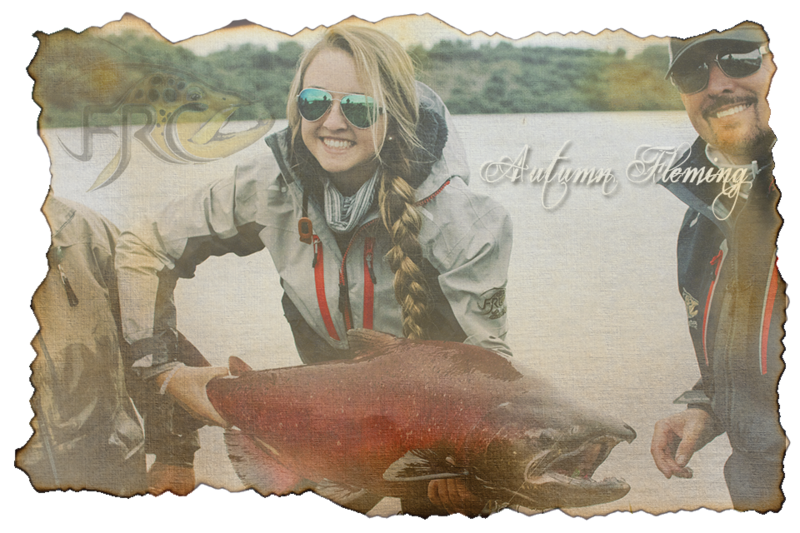 It’s faith, family and fly fishing for our crew! Curtis and I are cousin’s, his father and my mother are brother and sister, we were raised with the same core values, solid family roots and faith in God. Hard work, our faith and love for our family continues to push us to reach our highest potential, and beyond. After 20 years with the same company, I received that dreaded phone call, a downsize lead to the lay-off of over 100 employees. I now see it as a blessing in disguise, I received the call from Curtis asking me to join the FRC team. I feel Curtis and I have come full circle, we started our first job together in high school at Hardee’s right here in the same town of Bridgeport, WV where the FRC office is located, today we again work side-by-side. I have 3 wonderful sons, my oldest, Nate is an Assistant Pastor at Higher Rock Ministries in Shinnston, WV. I have identical twins, Josh is married, and lives in Charleston, WV with his beautiful wife, Timerra, he has a daughter, Syncere and another on the way. Jordan is currently serving in the US Army. I truly love coming to work everyday, to be able to work with family is the greatest blessing of all! 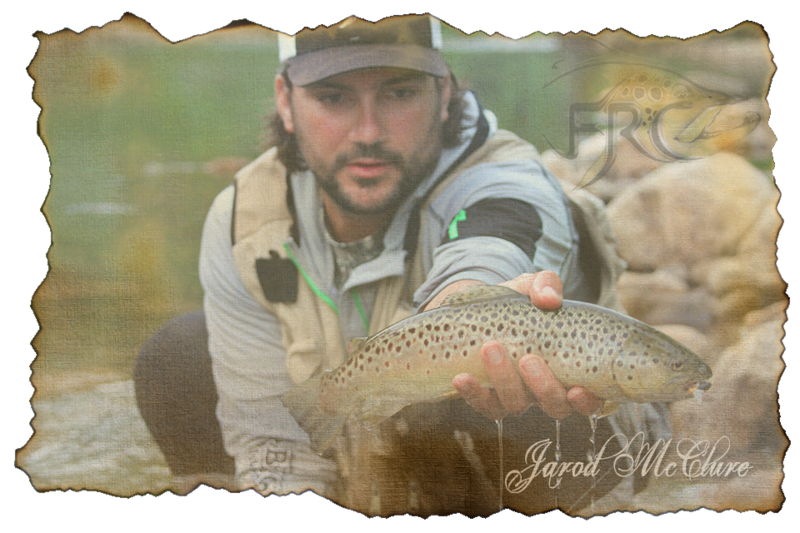 Having been blessed with a childhood in the rural mountains of Eastern West Virginia my fly fishing roots run deep. My passion for the sport has carried me too far away places and friendly waters close to home. Over the years I have had the opportunity to hone my skills in the competitive fly fishing arena and continue to learn the newest techniques as part of the NC Fly Fishing Team. For me, fly fishing has opened the door to incredible places and truly unique people, but the greatest reward has been found in my affiliations with TU and Project Healing Waters. I can think of no better tribute to the sport than to share my passion with others. 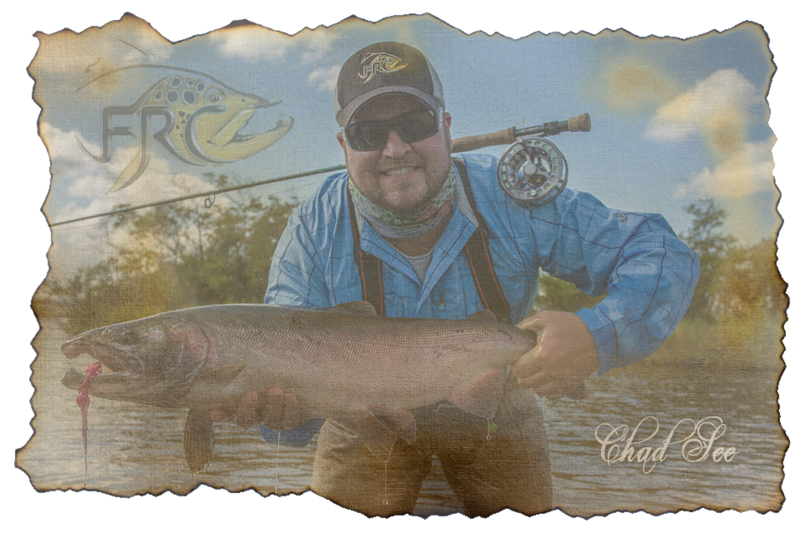 Ten years in the broadcasting business and thirteen years in the finance industry provided for a strong background in the operational and production aspects of the industry and my affiliation with Fly Rod Chronicles has allowed me to merge this experience with the sport that I love. Growing up in and around Central Florida, I’ve never had a lack of fishable water, or a lack of fishing friends. The best part to me is always finding new water to fish, as exploration really fuels my mind. There’s something about hidden creeks in the forests, or racing to a small run that’s sure to run dry with the out-going tide. I used to have a huge focus in my life called YakAngling Magazine, and it absolutely brought me closer to the industry. With that and a background in marketing and social media management, I found myself networking and making good friends with Mark Steven Crouse. He is the one who ultimately introduced me to Curtis and opened this door. To say I’m humbled is an understatement. Truly excited to see what this road brings, and stoked to be a part of such a great team! Seeing a fish come up out of the water, its silver gills catching the sunlight – and then hearing it slap against the water’s surface – is certainly a thrill. But my passion is hearing the stories of others – yes, fish stories, included – and relaying them to others. I’ve written for various West Virginia publications and currently pen features for Connect-Bridgeport.com, the Web-based news site in Curtis’s hometown. Through the years, I’ve written about our renowned hometown fly fisherman on several occasions – how he played basketball for the Bridgeport High School Indians and how some of his school teachers and our local Hinkle and Deegan Lakes inspired his lifelong passion for fly fishing. Curtis and I share the same high school alma mater and a love for the Mountain State. I believe in spending time in the great outdoors and am proud to be part of a big family who affectionately calls themselves West Virginia rednecks, spending post-church Sunday afternoons riding and target shooting. 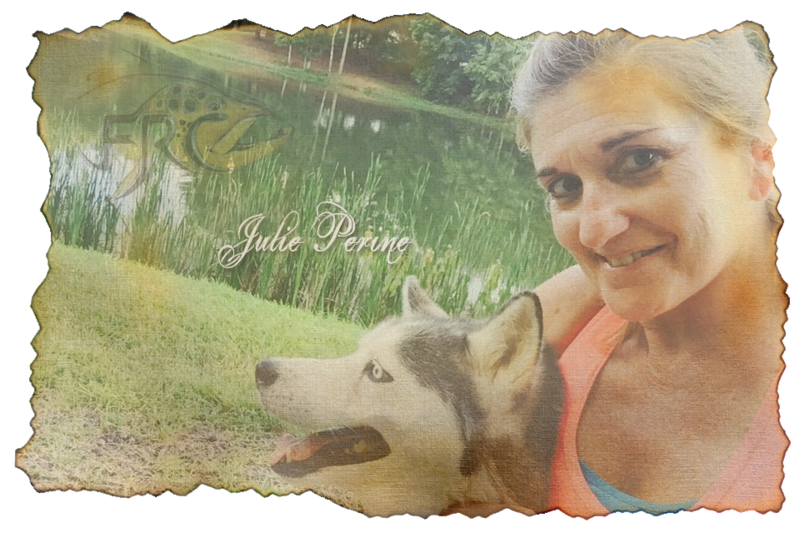 Though I most often frequent the bike trail, I also hit the mountain trout streams and area ponds and rivers with my husband Jeff and boys Jeffrey and Jacob. They can all fish rings around me. My guys may take the lead, but I always bring home a tale. 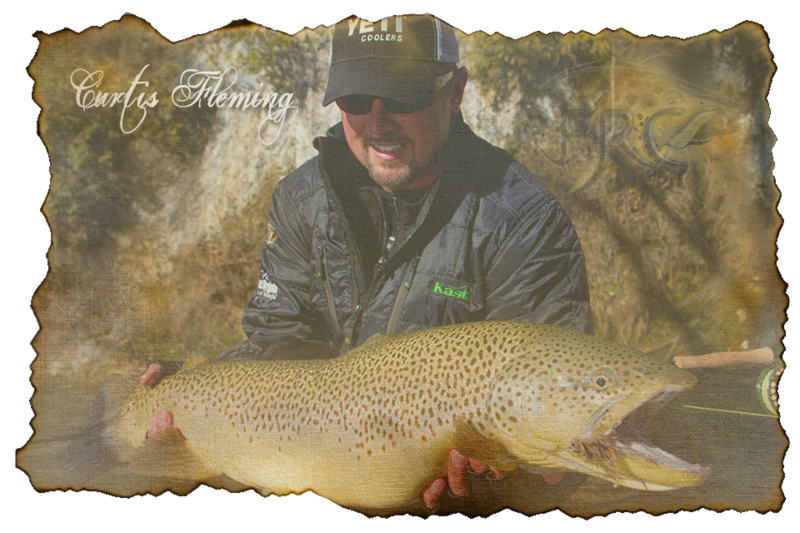 I look forward to bringing you stories about Curtis’s worldwide adventures as he continues to reel in more and more fly fishing enthusiasts.